Imagine you’re a student attending, say, College of the Atlantic, on an island off the coast of Maine. You’ve studied the local watersheds, researched the flora and fauna of this coastal zone—but now you want to learn about deserts, and there are no deserts for thousands of miles. Enter EcoLeague. This academic consortium of like-minded colleges offers students the opportunity to study at any of the six member schools, all of which are committed to sustainability. Without changing your tuition payment, you can fill out a simple form and spend the next semester at a college in Arizona, studying desert ecosystems. “For all EcoLeague schools, classes are filtered through the lens of conservation and ecology,” explains EcoLeague program coordinator Kelly Morse, based at member school Northland College in Ashland, Wisconsin. Other members include Prescott College in Arizona, Alaska Pacific University in Alaska, College of the Atlantic in Maine, Green Mountain College in Vermont, and Dickinson College in Pennsylvania. 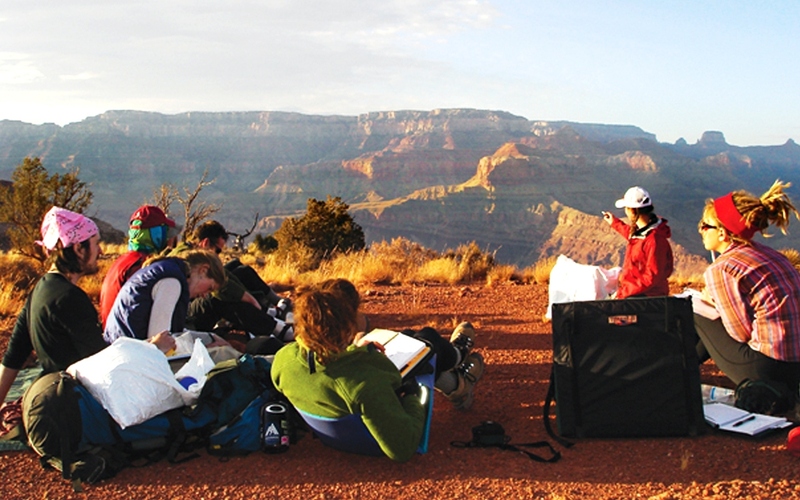 One of the most popular destinations is Prescott College—in part because the school has a regular curriculum involving time in the Grand Canyon. My son Kieran graduates from Prescott this spring, and I can attest that he has spent at least as much time in the wilderness as in the classroom—climbing, kayaking, studying botany, leading backpacking trips and, yes, rafting the Grand Canyon. 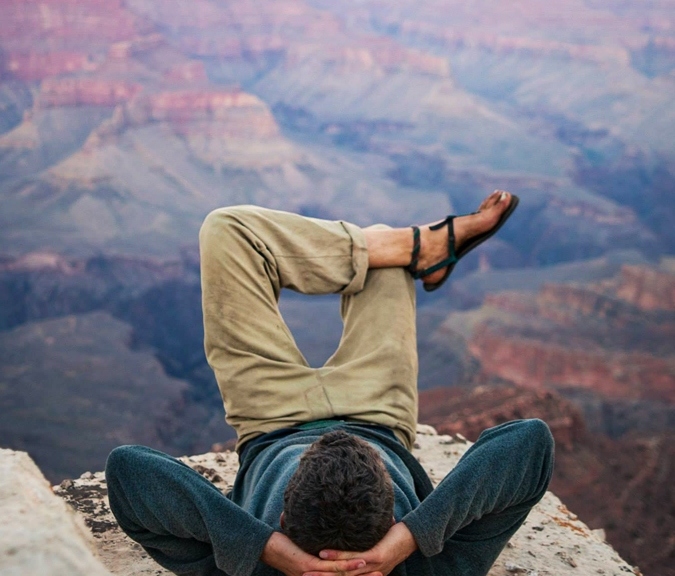 He’s pictured above, at the canyon’s rim; the view alone explains why students might want to make the trek west for a semester. But regardless of what the future holds, EcoLeague is already earning attention. For example, Princeton University’s annual school review creates an annual list of green colleges; this year, the consortium’s schools hold three of the top ten places on that list. And students are drawn to the wide range of options the schools make available. For more information about EcoLeague and its member colleges, visit www.ecoleague.org.